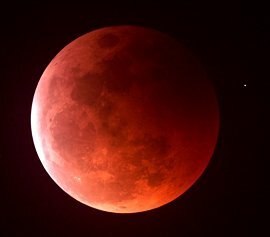 The Hunter Moon this year is undergoing an eclipse, which is also known as the Blood Moon for a few very bloody reasons. 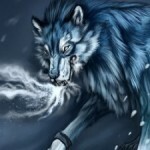 Read more about the Hunter or Blood Clan of Werewolves here. A Blood Moon in the way that NASA scientists mean Blood Moon. To the scientist, a Blood Moon is a moon that turns red with sun fire during a lunar eclipse. To a lycan, the Blood Moon is that and something else too. It’s going to be a bloody Halloween either way. It’s the night that all Hunter Wolves are called on to defend the world against the beings who break through the veil of creation on Halloween. And the night when the rebel Blood Wolves will refuse to heed that call. Some of them will even end up fighting their brothers and sisters. Let’s back up. Before the Hunter Moon was called the Blood Moon it was already pretty bloody. It brings the darker half of the year and marks the beginning of the long winter struggle against darkness and cold for all creatures in the Northern Hemisphere. 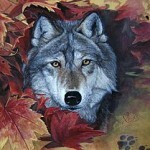 Hunters would use the October full moon light to stalk their prey at night. And animals would be slaughtered for eating in ritual ways that were meant to honor the dead, a kind of hunters’ apology for having to kill to survive. A thank-you ritual to the spirits for the sacrifice. Well sometimes these rituals worked – and sometimes they didn’t. Sometimes they actually made the restless dead spirits angrier. A dangerous situation. Especially on Halloween. And especially if the Hunters Moon happens to coincide with Halloween. Halloween is the one night of the year when the veil between worlds is thinnest. Beings and monsters in other worlds wait all year for the right conditions to help them cross over on Halloween night. We know that many different beings have indeed learned how to cross this veil, especially if the moon is full. That’s why humans learned to wear a disguise, so other-worlders won’t recognize them as vulnerable humans. And why the Hunter Wolves promise to be out in full force, defending the world against the creatures who break through the veil. The Hunter Wolves train all year for this job and take an oath to defend the world on this night above all others. At least that’s how things used to be. How they should still be. Unfortunately it’s not. Nobody knows the name of that first hunter to kill a werewolf on the Hunter Moon but there’s a rumor that his story has been preserved and passed down by the Blood Wolves – along with his teeth and his bones. If you can find a Blood Wolf to tell you the true story, ask him. But fat chance getting a Blood Werewolf to talk to you. Especially on the Blood Moon. All that is known for sure is that it happened on a Halloween Hunters Moon. A new, young genetic werewolf unexpectedly transformed in her village, alone. Her family was all out, racing with the Hunter pack toward a breach in the veil between worlds, preparing to fight back the beings to break through it: netherworlders, shadow worlders or otherworlders. These beings have been called by many names throughout history. 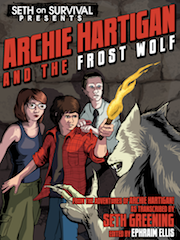 The new werewolf stumbled out into the forest on her new legs, and that’s where it happened – a human shot her. Killed her on the spot with a silver-tip arrow. Some even say it was one of her friends, trying to hunt with the adults on the Hunters’ Moon. When the girls’ family returned to the village at sunrise to find her body in the woods they vowed to separate from the village and from the Hunter Wolves forever. They stopped defending the world and made their own clan, the Blood Clan, dedicated exclusively to self-preservation from the enemies they see everywhere, all the time. Now they claim the Hunter Moon as the Blood Moon. They don’t take the Hunter Wolf vow to protect the earth on Halloween and all year around from shadowy being bent on destruction. Some whisper that the Blood Wolves may even be trying to help bring about this destruction. So whether you celebrate the Hunter Moon or the Blood Moon, it’s sure to be bloody Halloween out there either way. Between fighting for the worlds’ survival and stocking up for the long winter, check back for the launch of our new werewolf app. Thanks Seth – and Graham too – for helping us to finish it. Your Lupine Life app should be up on the iTunes store for free on Halloween. Also we hope you’ll stop by Seth On Survival on or around Halloween. There’s sure to be a Survivor of the Month prize along with more helpful tips for your ongoing survival. Can you help me learn how to control it? I think I’ve got some information. Send me a message for details. I’m not a blood wolf, but my friend is. I had a little accident the last full moon, and let’s just say we haven’t talked since. I guess they’re just as afraid as I was on my first transformation. They probably want to eat me too. I rather doubt it wolves DO NOT eat the flesh of other wolves. No Scarlett, it doesn’t happen it is considered the greatest form of sacrilage and dishonor. Only Shadowhounds would do such, and they are already Cursed. Atacarem noruemnod vailardor, cynandrith sin nonidrath cailum netrastrinoa alduinamoch. Born of blood and coldest fire, fight the darkness show my Ire, their time now is done. in the dark they shall perish as one. Words…those words are way too familiar…hmmm….where have I heard them before…maybe I never heard them before maybe their just familiar to me I dunno…. Oh I remember there was this book I stumble upon and I look inside it because it didn’t look like a normal book I usually “find” or stumble upon mysteriously and I guess I saw those words….I don’t remember anything else but something happen I’m figuring there usually always something that happens…. Essentially I created something new, creatures bound to me that hadn’t existed before. whats up? 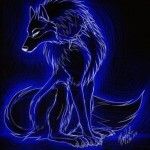 I’m new here but i was born a werewolf/ it was in my DNA, though i have had a run in with an organization that has been after me and watching me for some time and have been going after other wolfs/ I’m still waiting my shift but i have a feeling it will happen soon but for now I’m a lone wolf though hopeing to make allies here. Wow that’s rough man look if you need a friend I know how hard it is too be a werewolf and not feel like werewolf hunters are spying on you I have known what I was my whole life but I didn’t turn until I was 13 years old on the hunter moon which makes me a hunter werewolf so I understand how you feel so if you need an ally I’m here to help. Yeah so will I. Also guess what tonight is? THE WOLF MOON, and I’m super excited! Edited: For your safety please do not post personal information like your age, birthday, full real name, email (or Skype) or your location. Thanks. Hello! An administrator recently changed the clan options to avoid confusion between Singing/Harvest wolves and Hunter/Blood wolves. The September clan was previously listed as Hunter, which mislead many people. 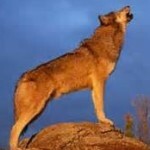 Are you a Singing/Harvest wolf or a Hunter/Blood wolf? Please pass this message on to the other werewolves you know in the months of September and October to get this change out in the public!